David N. Brodsky assists clients with audits, audit appeals, and U.S. Tax Court proceedings. 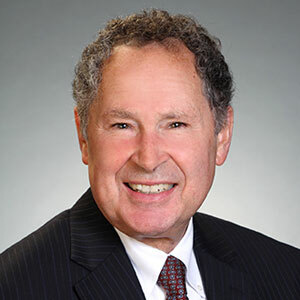 He is a 41-year veteran of the Internal Revenue Service Chief Counsel’s Office, where he spent most of his career litigating tax cases, advising audit teams in large corporate audits, and supervising attorneys performing these functions. His experience includes litigating many highly complex and large-stake tax cases before the United States Tax Court. Through his in-depth knowledge of the IRS and Tax Court, David is able to help clients develop and execute sound tax litigation strategies. Assisting taxpayers with developing tax litigation strategies, including evaluating their litigation options. As a reviewer of large corporate audit cases for a number of years with the Chief Counsel’s Office involving the largest corporations in New England, David is familiar with a wide range of issues that are typically raised in corporate audits. Litigation experience includes tax accounting related to utilities and insurance companies; section 482 allocations and pricing regulations; controlled foreign corporations; employee compensation and restricted stock; exempt organizations; depreciation; investment tax credit issues; estate tax issues; fraud; alimony; interest deductions; charitable contributions; bad debts; and sale of property. Admitted to practice in Massachusetts and before the U.S. Tax Court. David spent 41 years working for the Internal Revenue Service Chief Counsel’s Office. He also served for 23 years as an Adjunct Professor at New England School of Law teaching Legal Research and Writing. He currently teaches a course there in Appellate Advocacy. Associate Area Counsel and Assistant District Counsel, IRS, supervising groups of attorneys responsible for litigating Tax Court cases and advising audit teams in large corporate audits. Special Trial Attorney, IRS North Atlantic Regional Counsel’s Office, responsible for litigating cases considered to be the most significant and complex with tax deficiencies up to $100 million before the United States Tax Court. Trial Attorney, IRS District Counsel Offices in New York, NY and Boston, MA responsible for litigating tax cases with deficiencies up to $10 million before the United States Tax Court. Attorney, Legislation and Regulations Division, IRS Chief Counsel’s Office in Washington, DC, responsible for drafting income tax legislation and regulations and reviewing proposed revenue rulings and private letter rulings. Adjunct Professor, Legal Research and Writing and Appellate Advocacy, New England School of Law. He is highly skilled in legal writing techniques and is particularly effective in framing legal arguments in unresolved cases.